It’s spring in Sydney and we’re all looking forward to warmer weather, great weather to enjoy some of Sydney’s freshest seafood! This week we visited Crows Nest Restaurant Head Chef Hamish to chat about some of the popular items on his current menu. 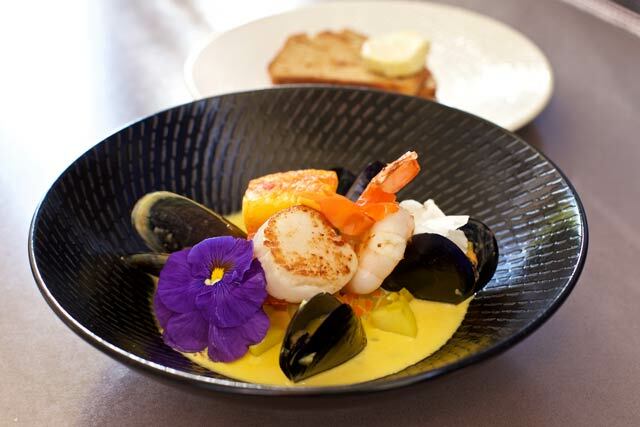 In the video below you can watch Hamish put together the golden saffron chowder, it’s served with scallop, king prawn, mussels + smoked cod. This is available now at Garfish Crows Nest. We have a new assistant manager in Kirribilli. If you’ve visiting look out for Jess and be sure to stop and say hello as she keeps everything running smoothly there. If you’re there for a cocktail be sure to try Jess’ amaretto sour cocktail. Cocktails? Yes, Kirribilli has a great range of cocktails on offer. 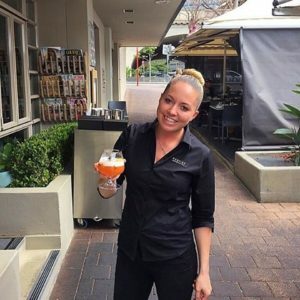 In fact there is an updated cocktail menu available now at Kirribilli and Crows Nest. 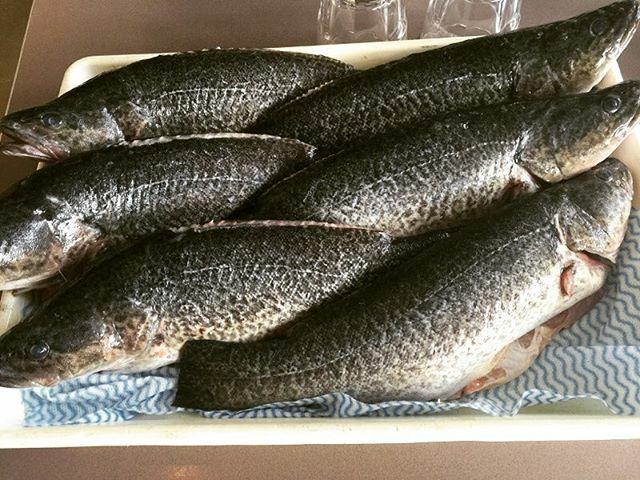 We’ve had some great specials this week, a standout in Kirribilli is the whole Murray River Cod. Pictured below these have been featured on the specials board for most of the week. 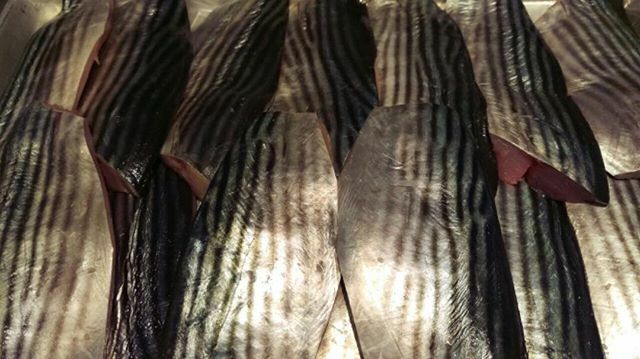 Kirribilli has also had some fresh bonito fillets direct Coffs Harbour on the black board this week. Don’t forget Father’s Day, it’s this weekend. We still have some availability so if you need a last minute plan check out the options at each of our restaurants.